For many of us growing a mustache has been an area of our life where a void exists. Since high school many of our friends and acquaintances have effortlessly grown facial hair while we go unshaven for several days and the change is almost unnoticeable. What takes some five days to grow, it takes us several weeks. Therefore, we didn’t even try to grow a ‘stache. Now enter the Movember craze. I had seen my co-workers grow mustaches in the month of November and call it their “Movember Mustache.” I thought it was just a funny alliteration, but I found out about the Movember movement to raise awareness about prostate cancer and men’s health in general. I was immediately drawn to the foundation as my father and a close friend had been prostate cancer survivors. As Movember approached, I wasn’t sure about participating, because frankly, I look like a serial killer with the hint of a mustache I am able to grow. It draws snickers, funny looks and critical comments from the “men” who grow a mustache every time they belch. But, my boss at work challenged me and others in the office to participate this year. Therefore, I dedicated to sacrifice my dignity to grow my very own Movember Mustache. Movember came in and with my full dedication, I accidentally shaved eight days in. Call it muscle memory or sub-conscious, but I completely shaved my face one morning before work on November 9. Crap! Then I had a decision to make. Do I give up or do I push forward. 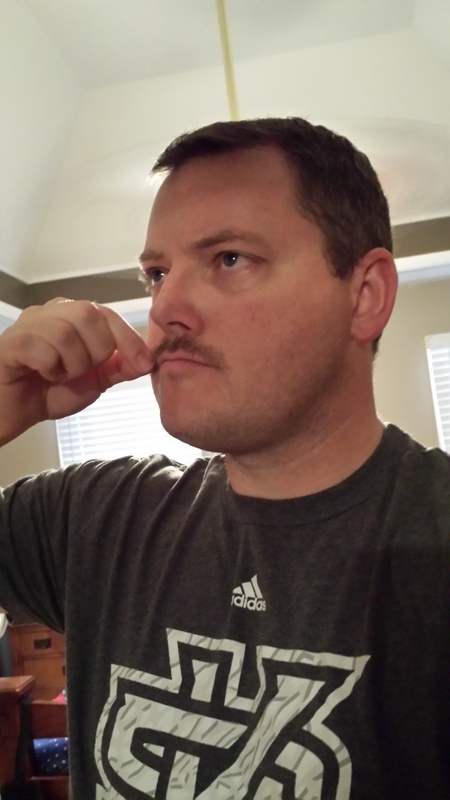 Channeling the strength of my father, I decided to move forward and continue to participate in Movember. 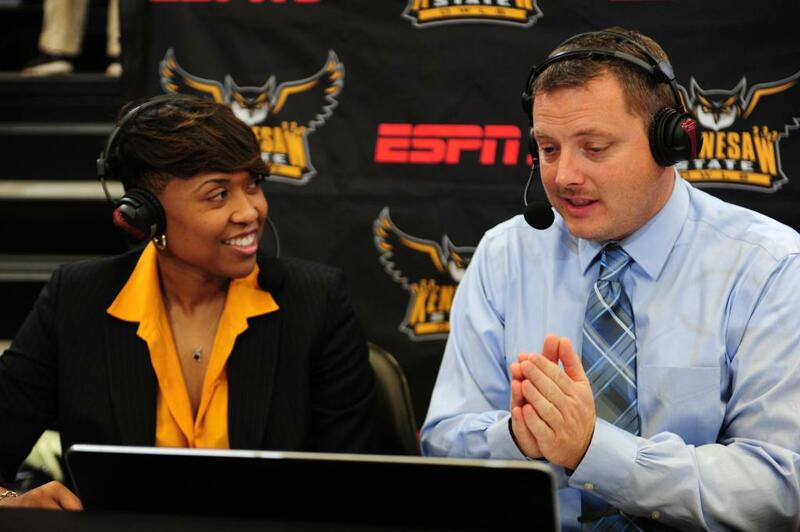 I was scheduled to appear on ESPN3 on Novemeber 14 for a women’s basketball game and the internal desire to shave was strong, but I didn’t and made my appearance with a barely-there mustache. I have no reason to be vain, but I am and I hated every picture I saw from the broadcast. 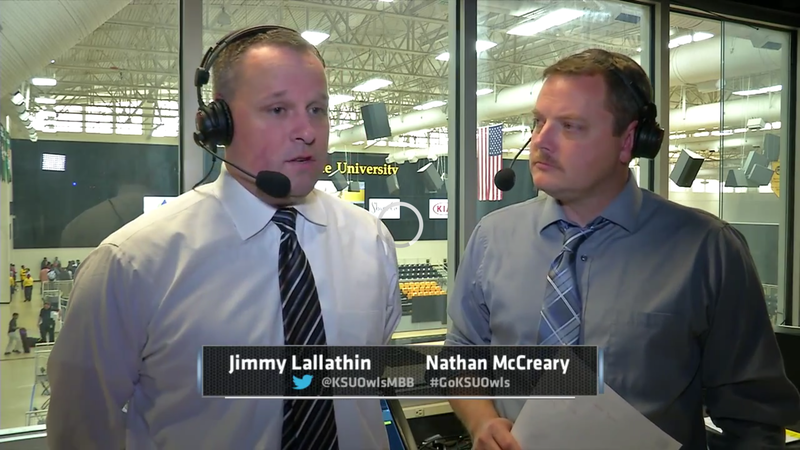 It was finally over, but I knew two more broadcasts on ESPN3 were approaching. Could I with stand the pressure? I was settled in to watch NFL football on Fox. My Tampa Bay Buccaneers were battling the Chicago Bears. I heard the familiar voice of Thom Brennaman and analyst David Diehl. Then the two-shot from the booth and I couldn’t believe my eyes. There on my Sony Bravia television was my motivation. 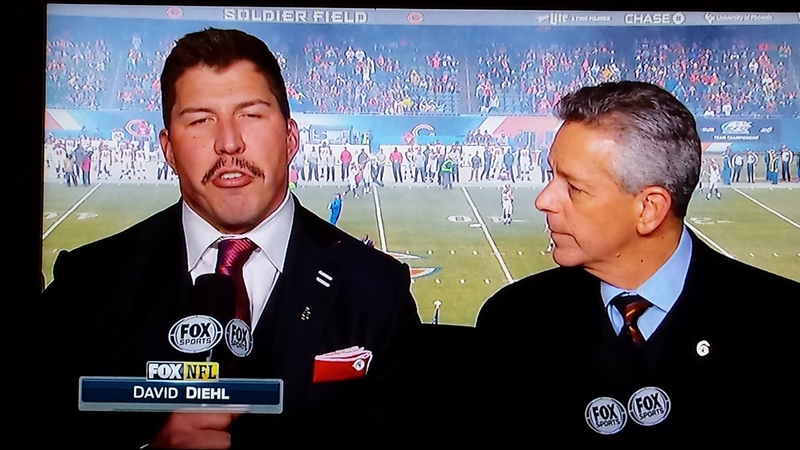 David Diehl’s glorious mustache drew all of my attention. I no longer could hear what was being said about the game. All I could hear was the sound of confidence come rushing through my mustache. I then knew if David Diehl, who is standing in front of thousands (let’s be honest, Bucs vs Bears wasn’t the game of the week) of NFL fans and present his mustache during a broadcast, then I could as well. Therefore, as I enter the final week of Movember, I have the confidence needed to take to the airwaves with mustache intact and ask you to visit my Movember foundation page and donate. The money raised will fund programs for men’s health, prostate cancer, testicular cancer, mental health, and global collaborations.